The Ford Galaxy and the S-Max share the same floorplan, many of the same components and the same engine range. 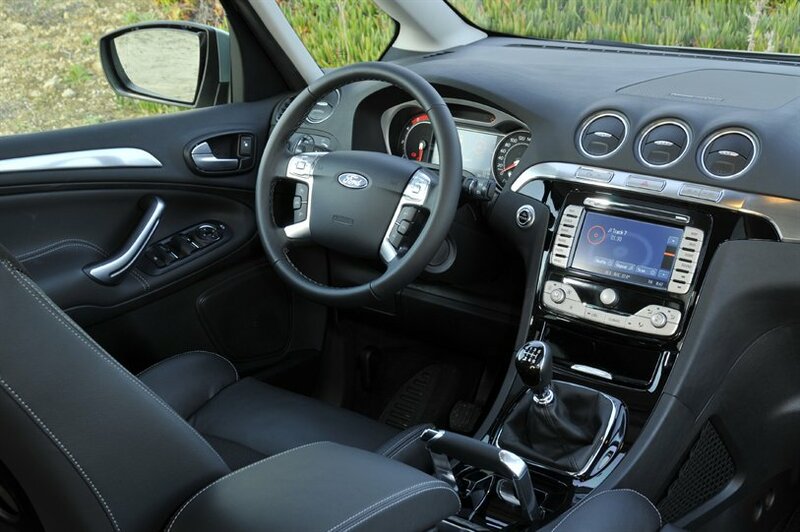 Many prefer the sportier look of the S-Max and driving experience but if you need a seven seater car where you can use all seven seats every day of the year and on long journeys and still have plenty of boot space then the Ford Galaxy could just be the answer you are looking for. The Ford Galaxy is bound to score very highly in this category. 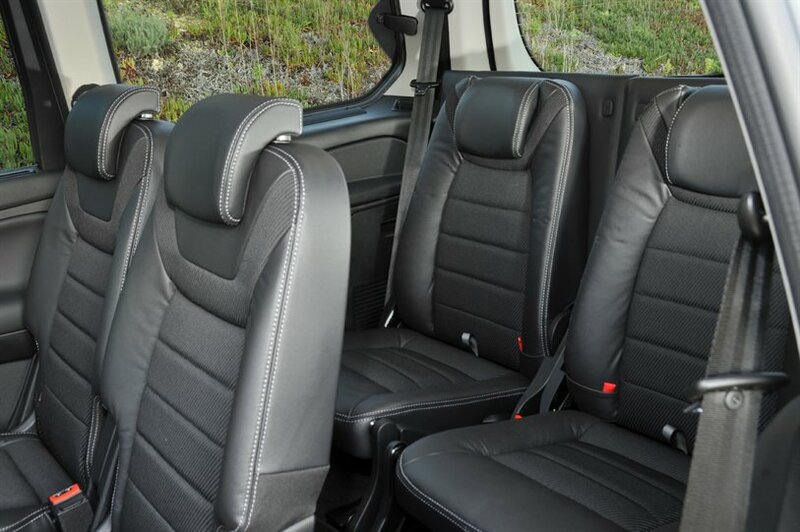 It is a large MPV and provides seven very comfortable full size seats. Besides the extra headroom for third row passengers it is also half a metre longer than the S-MAX so you get more boot space when using all seven seats. 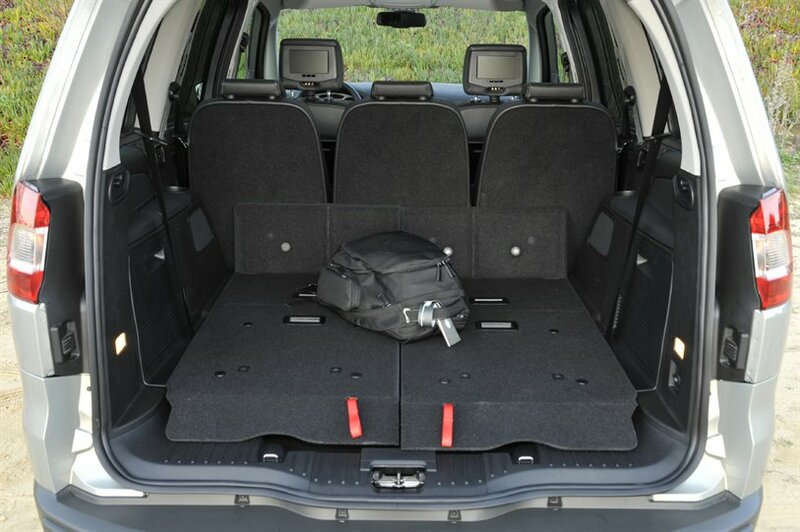 With all rear seats folded down flat using Ford’s Fold Flat System you get a massive 2,325 litres of load space. There are three independent seats across the middle row so it is easy to seat three young children in their car seats and they are all fully adjustable. There are so many cleverly designed storage places as well including aircraft style drop down cubby holes in the roof. The Galaxy has an excellent safety rating achieving five stars in the Euro NCAP tests. The front seats have front and side airbags. The driver has an airbag to protect their knees and the Galaxy is one of the few seven seater cars that has window airbags which cover all three rows including the boot seats. In addition emergency assist and stability control are standard. Ford really give buyers an excellent choice of engines with some great petrol and diesel options available. In the petrol lineup you can choose from the new 1.6 litre Ecoboost SCTi engine which is designed to produce maximum power and fuel efficiency. This engine produces 160 PS and manages 39 miles per gallon which is impressive on a petrol engine in a car of this size. If you need more power there is also a 2 litre Ecoboost option producing 203 PS and achieving 34.9 miles per gallon. These engines employ start / stop technology to help with fuel economy. Most people will opt for one of the excellent diesel engines which go from the 1.6 TDCi to the 2.0 litre Duratorq TDCi producing 163 PS . Ford also provide buyers with the option of the Powershift transmission which is a six speed automatic gear box which is designed to achieve better fuel economy than traditional automatics and faster gear changes. The quality of materials in the cabin shows in a modern, plush interior in which everything the driver needs is to hand. The airplane like handbrake is a nice touch and fully adjustable seats and steering wheel means you will easily find a comfortable driving position. 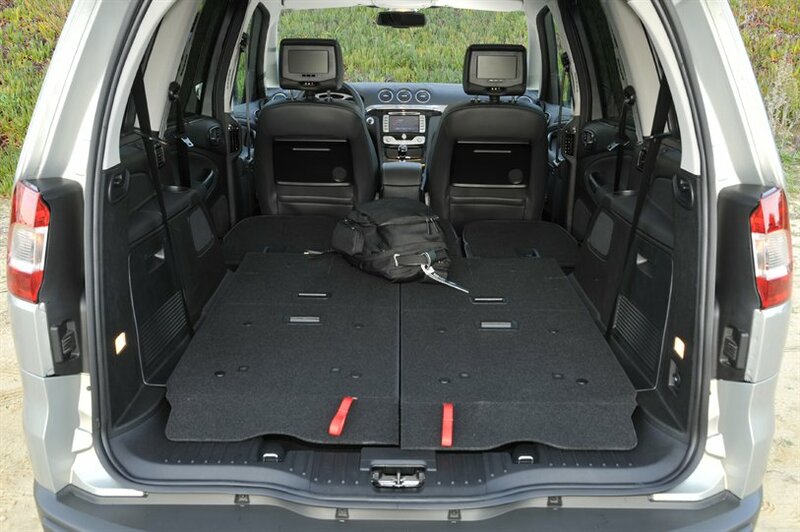 This is a large MPV and in most cases this would mean that it is all about the passengers but not with the Ford Galaxy. The driver can have some fun too with a car that grips the road and handles really well. Because the Galaxy doesn’t have the sloping roof of the S-MAX it means that adults can use the boot seats for long journeys without any compromise on comfort. The suspension in this car is very smooth and it soaks up the bumps with ease. There is a lot of leg room for all passengers including those in the third row and with seats that move forwards and backwards and tilt you can always catch up on some sleep whilst on the move. 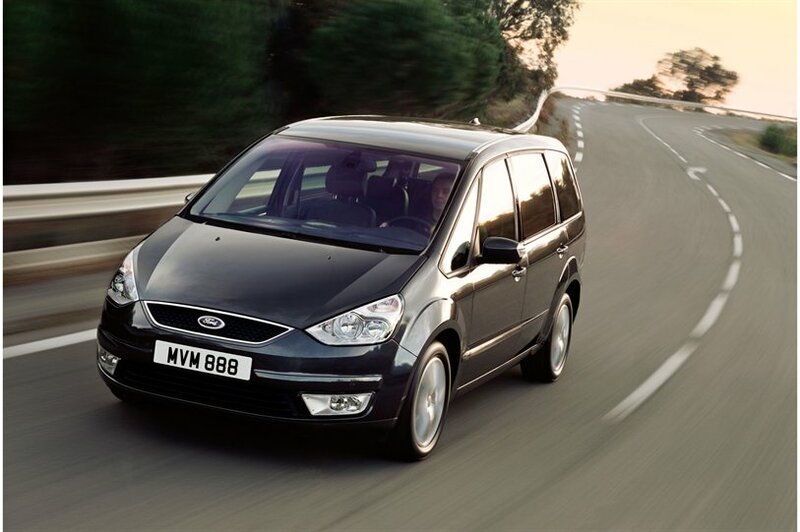 Reliability is reasonable on the Ford Galaxy. Some owners have reported issues with electrical faults and a few mechanical faults but overall owners seem satisfied with the level of reliability. If you opt for one of the diesel engines then the Ford Galaxy fuel consumption is good for such a large car. Road tax is reasonable too. whilst for performance the Galaxy comes with some good petrol engines they really can’t compete with the diesels on cost. Just like the S-MAX the Galaxy can tend to get through tyres quickly and they don’t come cheap. 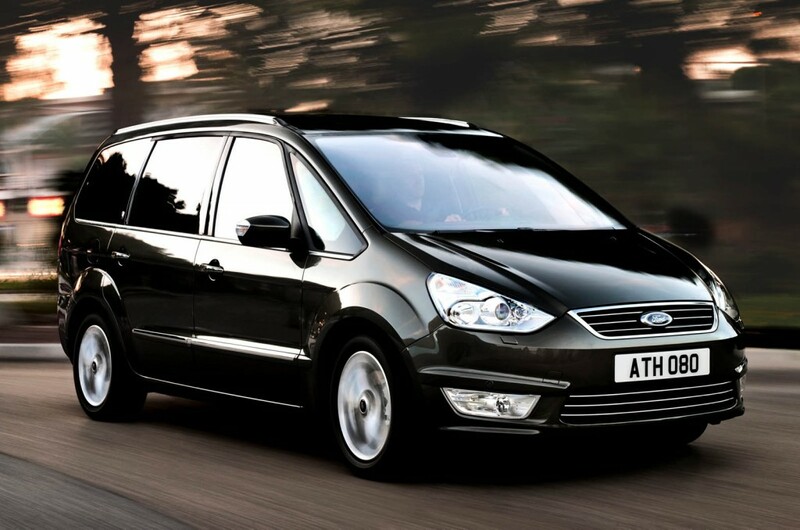 If you are looking for a large, well made, versatile seven seater MPV the Ford Galaxy should be considered. Especially if you regularly carry seven passengers and they are older children or adults who will benefit from the extra room in the third row seats.